It's not a live-ammo spitter like the .22-caliber you just saw, but it'll definitely put you on 5-0's radar. The dudes over at Shapeways.com have created a platform where designers can embrace 3D printing technology to craft some of the coolest and most bizarre accessories, which leads us to this little doohickey from gun enthusiast junjortan. 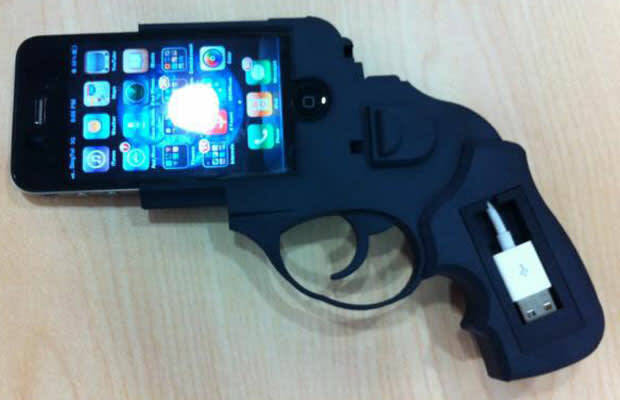 The revolver iPhone 4 dock was created using the MakerBot machine. Cop it if you dare for $114.